Are you undergoing a divorce? Divorce can be an emotionally traumatic and challenging process. But you’re not alone getting a divorce. According to the Centers for Disease Control and Prevention, there are almost one million people who get divorced every single year. One of the most important things to consider when it comes to divorce is hiring a divorce attorney. This can be a difficult thing in itself. After all, there are so many things you don’t know or understand how divorce works. You head is probably full of questions buzzing around. Most consultations with divorce lawyers last approximately one hour. This means that you have to make the most of the time you have with a divorce attorney. You can’t afford to waste the meeting on unnecessary questions. That’s why we’ve put together this list of 6 questions you should ask your divorce attorney at the first meeting. Let’s take a look! 1. Are You a Specialist Divorce Attorney? There are many excellent lawyers who don’t have a specific expertise, instead, they are generalist lawyers who work in many legal fields. While this is always negative, it’s best to find a divorce attorney with a specialist understanding of the matrimonial law. This means they’re know everything there is to know about the grounds for divorce in Texas and other legal questions. Just as you could go to a general practitioner (GP) doctor for a specific skin problem, it’s usually better to go to a dermatologist if you want specialist healthcare and advice. The same goes for finding a lawyer. So make sure you ask your lawyer about their legal background. The next question to ask is about style. After all, every lawyer has a different approach to his or her work. It’s important to know the style of the lawyer before you make any decision about whether you want to hire him or her. One of the main distinctions between different lawyers is whether they favor litigation, which ends in a court case, or if they prefer to settle amicably. You have to decide yourself which course of action you want to take. If you go with a litigation lawyer, it’s likely to end in a court case, which can amount to quite high legal fees. Maybe you’d rather hire a lawyer who takes a more reasonable approach and considers alternative solutions to your legal problems. Both styles have respective advantages and disadvantages, you have to decide what’s right for you. However, sometimes you can’t help it if the case ends in court. 3. Do you do Mediation? The next question you should ask your divorce attorney is whether they favor mediation. This is a positive attribute of any divorce lawyer. However, it’s important to ask them what their settlement rate. Furthermore, many courts require attempts at mediation. This encourages goodwill between the parties involved. However, some lawyers encourage mediation before the requirement by the court. Be particularly careful about lawyers who favor a lot of mediation but are unsuccessful when it comes to settling. This is a bad sign! 4. What About Legal Fees? Of course, the question of legal fees is always important. But it’s not only essential to know how much the lawyer charges in legal fees but also how they bill you. For instance, whether it by the hour or another way. The majority of lawyers bill by the hour. However, sometimes this problematic. 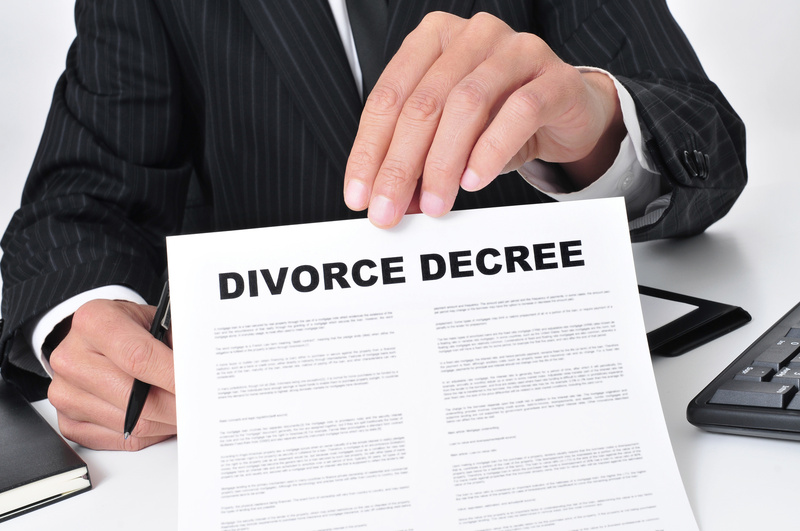 You will likely be in regular contact with the divorce attorney through phone calls and emails. So it’s important to ask how you will be billed for this time as well. It’s also possible to ask how you can keep the fees as low as possible. By doing some of the work yourself, you free up the lawyer to do other things. This means they charge you less. The important thing here is to not be afraid to ask questions. It’s your money that’s going to pay for their time after all. 5. Do you Work Alone? It’s also good to ask the divorce attorney how they work and whether they work alone, or as part of a team. If the lawyer is part of a big firm, they probably have a whole team of paralegals, assistants and other lawyers to support them with their cases. If they work in a smaller law firm, they may have fewer resources. However, at least you’ll know exactly who’s working on your case. You should ask whether they are a name partner in the firm or an associate. This is likely to affect how much you’ll be charged. You can sometimes request to have an associate lawyer work on your case for cheaper legal bills. Or, maybe you want the partner to work on your file since their expertise and experience is invaluable to you. This is a decision that you need to make. 6. Are you Familiar with the Local Courts? Every town, county, and state court works slightly differently. It’s important to find out if the lawyer is familiar with the local courts or the court that your case would take place. It’s good to know how well-connected your lawyer is with the judges in the county or the reputation they have in the area. Of course, this doesn’t mean that a divorce attorney with better connections will get special treatment. But it does have its benefits. These 6 questions are essential when meeting for the first time with your divorce attorney. It can be difficult knowing what to ask, but with this helpful guide, you can make sure you make the most of the opportunity to find out how to proceed with your divorce proceedings. In the meantime, visit our blog to learn about our insights into all aspects of life.